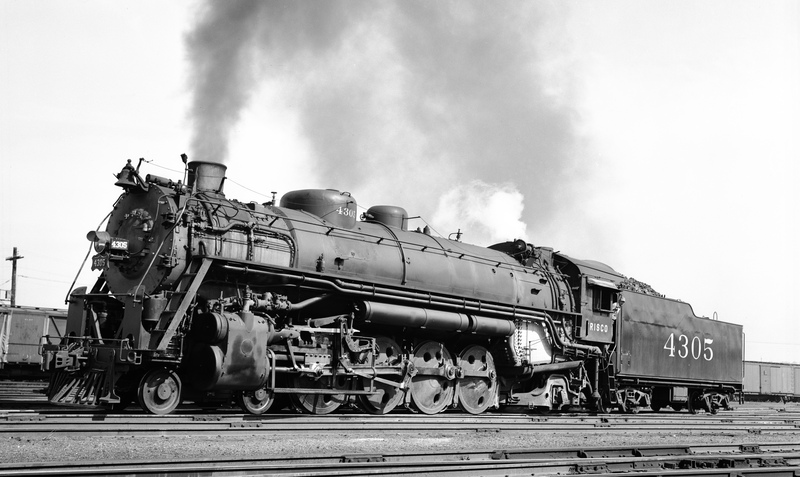 4-8-2 4305 at Lindenwood Yard, St. Louis, Missouri in 1939 (Robert J. Foster-Louis A. Marre Collection). 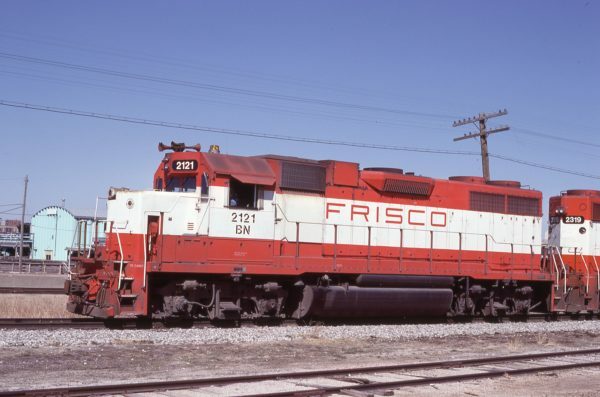 GP38AC 2121 (Frisco 644) at St. Joseph, Missouri on March 15, 1981 (Jim Shepard). 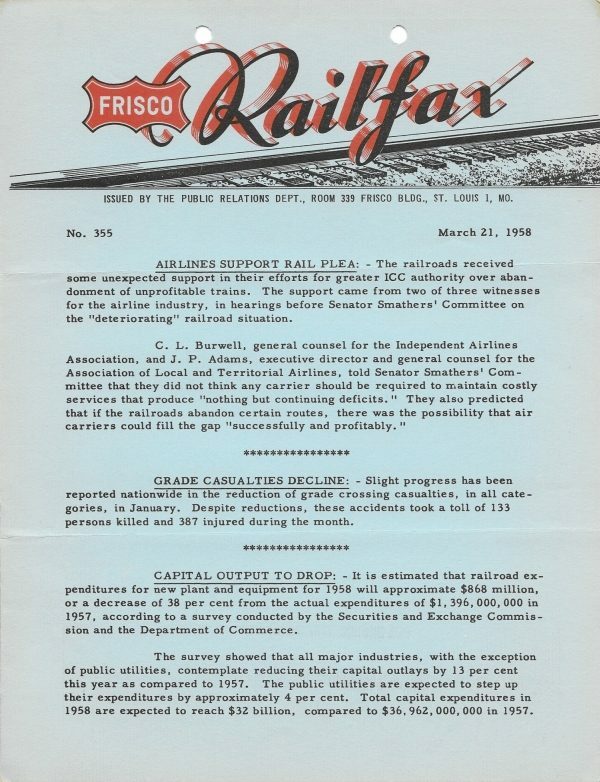 Railfax 355 – March 21, 1958 (PDF). 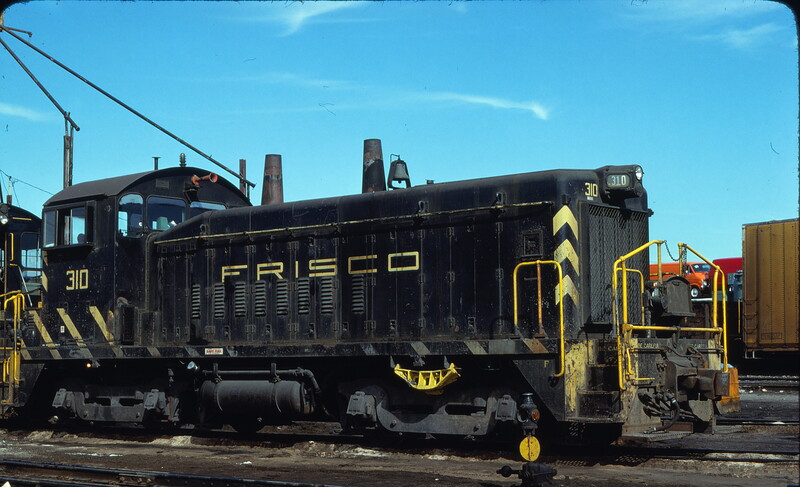 SW9 310 at St. Louis, Missouri on March 18, 1978 (Raymond Lackemeyer).